Ocean County officials say the replacement of the Midstreams Bridge in Brick Township is close to completion. County Engineer John Ernst confirmed to Shorebeat that work is finishing up on the new span and the project remains on schedule to be completed next month. “The contactor is working toward getting the bridge open to two-way traffic by mid-February, weather-permitting,” said Ernst. A few minor items remain to be checked off the list, he said, but the bulk of the work is completed. The bridge has been closed to two-way traffic since the replacement project began in the fall of 2017. The replacement was complicated by the fact that engineers discovered the 55-year-old bridge was effectively being held up by its own weight. The county eventually was able to open up one lane of traffic, in one direction, but neighboring residents and business owners have complained about a lack of easy access to the Princeton Avenue peninsula. 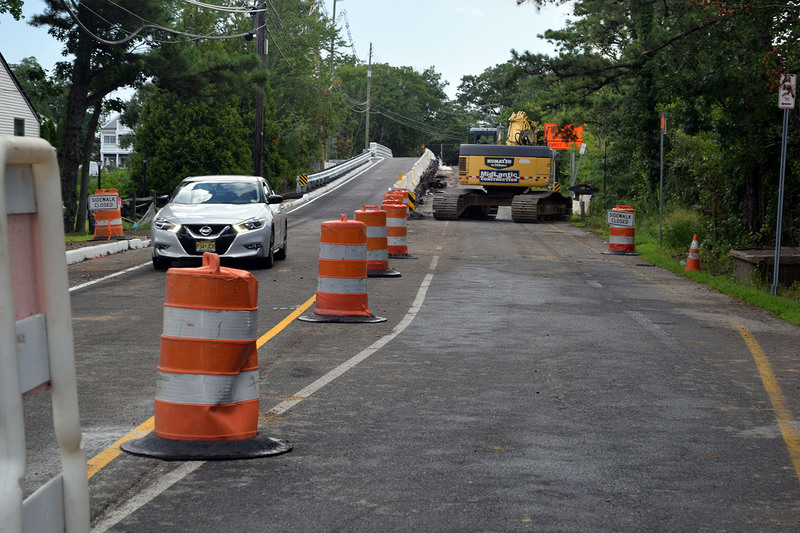 Midlantic Construction, of Barnegat Township, is completing the $4,661,443 job of replacing the span, which carries traffic along Jordan-Midstreams Road across Beaver Dam Creek. The current bridge, built in 1962, is a 131-foot long, 35-foot wide structure consisting of adjacent precast concrete slab beams supported on concrete pile caps founded on timber piles with timber bulkheading. The new bridge will be an 111-foot-long long steel and concrete structure, said Freeholder John P. Kelly, Director of Law and Public Safety. The 49-foot wide bridge will include a 6-foot-wide sidewalk on the west side.